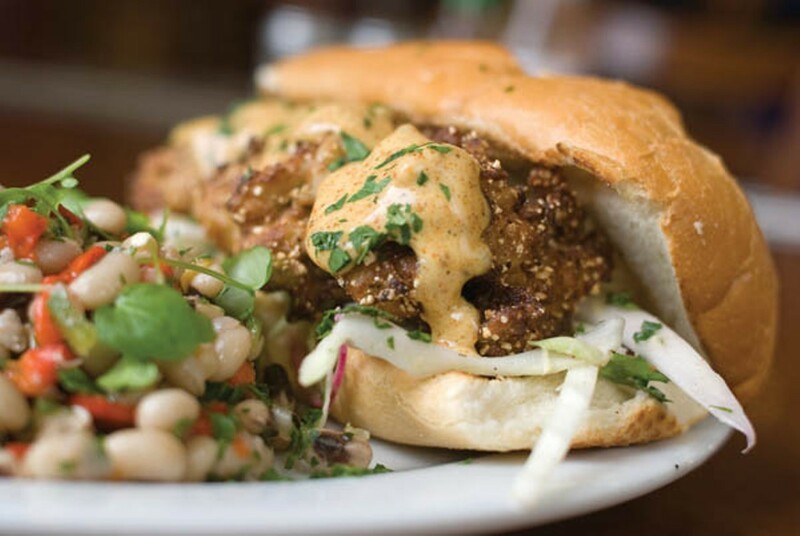 Brown Sugar Kitchen's fried oyster po'boy. The Michelin Guide unveiled its latest Bib Gourmand list for the Bay Area today. These restaurants don’t get the distinction of Michelin stars, but they are being recognized for offering excellent value. That means $40 or less for two courses and wine or dessert. The 2018 edition features just one new East Bay name, though it’s very familiar to us: Brown Sugar Kitchen (2534 Mandela Parkway), Tanya Holland’s soul food spot in West Oakland. Why did the Michelin critics suddenly decide Brown Sugar Kitchen, which has been open since 2008, is worth the praise? Who knows. It does mark the latest in a particularly exciting year for Holland, though, as she embarks on expansion into Uptown, Oakland and The Ferry Building in San Francisco. FIVE, the American restaurant inside the Hotel Shattuck in Berkeley, didn’t make the cut this time. Otherwise, the 2017 cast remains: China Village, Comal, Corso, Great China, Ippuku, Michel Bistro, Millennium, Tacos Sinaloa, and Wood Tavern.